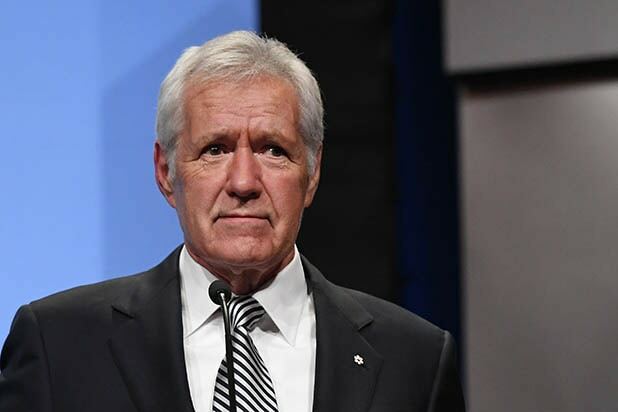 Alex Trebek was dressed to kill on Wednesday — as a member of Kiss. “Jeopardy!” host Trebek got a bit demonic this Halloween, masquerading as Kiss frontman/bassist Gene Simmons in a truly remarkable transformation. In a video shared to the “Jeopardy!” Twitter account on Wednesday, the normally straitlaced Trebek is shown being fitted with a wig and having his face painted to resemble Simmons, to a soundtrack of the Kiss chestnut “Rock and Roll All Nite.” By the end of the transformation, he is even gifted with a pair of ultra-high-heeled boots by Simmons, who has made such footwear a trademark of his stage look for decades. “Alex wanted to join the fun – so our team put him in full KISS makeup!” a post on the website explained. Take a look at the video below and share your thoughts in the comments section — were you made for loving this look on Trebek?